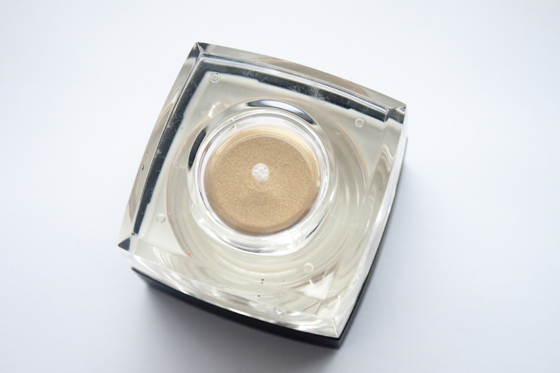 I wasnt really sure what I was expecting when I bought the ELF Studio Cream Eyeshadow, I was enchanted by the colour swatch on the website, which isnt anything like the swatch on the website. I've never really tried a Cream Eyeshadow as such. I tried MAC Paint Pots in the past as well as Illusions d'Ombre de Chanel (HIGHLY RECOMMEND! I bought a new one today so I'll review it next week) but they aren't what I'd say is a true cream shadows. I find the product quite greasy, Therefore it creases like crazy. You cant build up the colour at all, so I find it applies as a sheer glitter grease smear. The textures alot like a paint pot, but more slick and doesnt dry down at all. 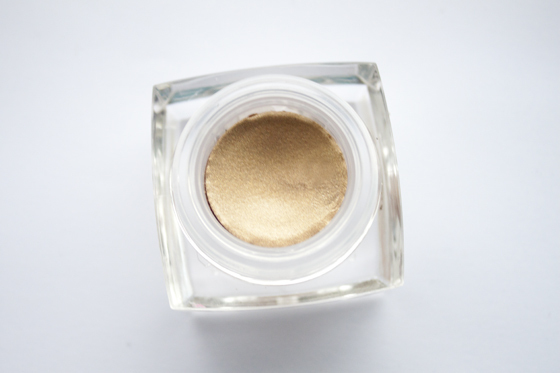 The colour is a shimmery gold, a little darker than the photos, but once applied the colour is mainly dissapears and its just a shimmer/glitter smudge. The packaging is big and bulky, way too big for the amount of product inside. It feels absolutely huge in my hands I couldnt imagine chucking it in a makeup bag (if I liked it) to take away anywhere. If it was half the size but the same sleek black packaging it would be really nice! I really wouldn't recommend this product, I really dont think its worth £3.50, reminds me of something you'd find in the £1.50 range in ELF rather than their "higher" branded range. 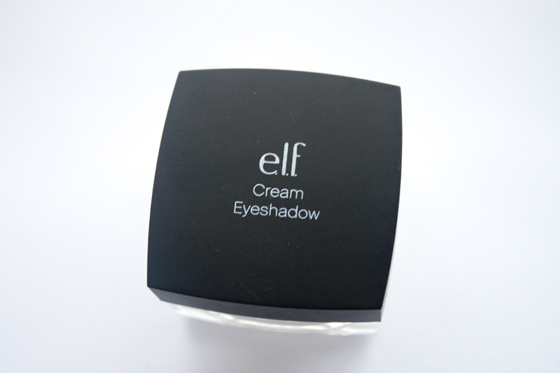 I dont think all ELF products are bad, some are really good (see my ELF bronzer review). But this one is a big miss for me! If it came out something like it looks in the pan and dried down a bit, it would be gorgeous! Great review! Love some of the ELF products but others, like this just don't seem to work! i've never tried these cream eyeshadows, but now i know to stay away from them! Shame that the product wasn't for you, but I like good honest reviews! I don't think I've ever tired an ELF product, but maybe that's a good thing. Thanks for the honest review, Lily. I'm a big fan of the MAC paint pots, so I think i'll stay loyal to the less greasy, and sparkly kind with more efficient packaging. At least the color in these pictures is cute. I'm dying to try some elf products so thanks for steering me clear of this. I don't mind cream eye-shadow as a highlighter but not as an actual highlighter (but it would need to be someonething that was given free to me). I so agree about the size. Was sent a cream blusher and the packaging was HUGE. I'm not into cream eyeshadows to be honest, I like the idea of paint pots.. but cream eyeshadows.. not so much. I think brands like Elf, MUA, Natural Collection etc are really hit an miss. Some products are amazing, some are terrible. I suppose because it's more difficult to make some products on a really tight budget than others, so it's difficult to get a consistent quality control. I always get so nervous buying elf because I never know what to expect!